Newborns in D.C. are celebrating their birthdays with brand-new Nike shoes thanks to a local Olympian. WASHINGTON — Newborns in D.C. are celebrating their birthdays with brand-new Nike shoes thanks to a local Olympian. 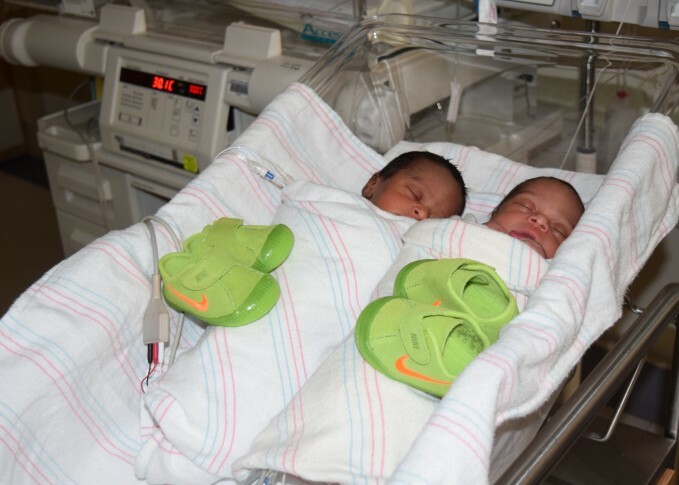 In honor of Olympian basketball player Kevin Durant, a Prince George’s County native, Nike is gifting new families at MedStar Washington Hospital Center a pair of infant shoes. Durant was part of the men’s Olympic basketball team that won a gold medal. The tennis shoes, which are green and gold as a nod to the Rio Olympics colors, come with a note from the NBA star. Shoes also were distributed to babies born at Anne Arundel Medical Center. The special shoes are in honor of Matt Centrowiz — an Annapolis native who became the first American in more than 100 years to win gold in the 1,500 meters at the 2016 Rio Olympics. Nike plans to deliver the baby shoes to areas where several U.S. gold medal winners are from.